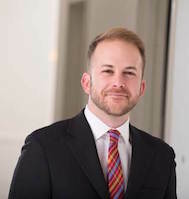 Anthony is a Civil Litigation Attorney at Altman & Altman, LLP. He received his Bachelor of Arts Degree from Emmanuel College in Boston with a concentration in Latin American History, and his Juris Doctorate from Suffolk University School of Law. Anthony began his career at Altman & Altman as a Summer Associate before coming on as a full-time attorney in November of 2014. Anthony's practice focuses on the handling of civil matters. He has a wide range of experience handling civil litigation matters including automobile accidents, MBTA accidents, slip and fall accidents, premises liability, and work injuries. Anthony is available around the clock and is always ready to answer questions from clients. After years of working in and around the Fenway Park area, Anthony prides himself on his friendly demeanor and strong client relationships, striving to bring a personal touch to all of his cases. Aside from being the office trivia champion, Anthony spends his free time cooking, traveling, and watching any and all Boston sporting events, much to the chagrin of his fiancé.